If you’ve ticked off Australia and New Zealand’s coffee culture, colourful wildlife and oceanic appeal from your travel itinerary, consider going on an alternative adventure by train, as travel writer David Bowden did. 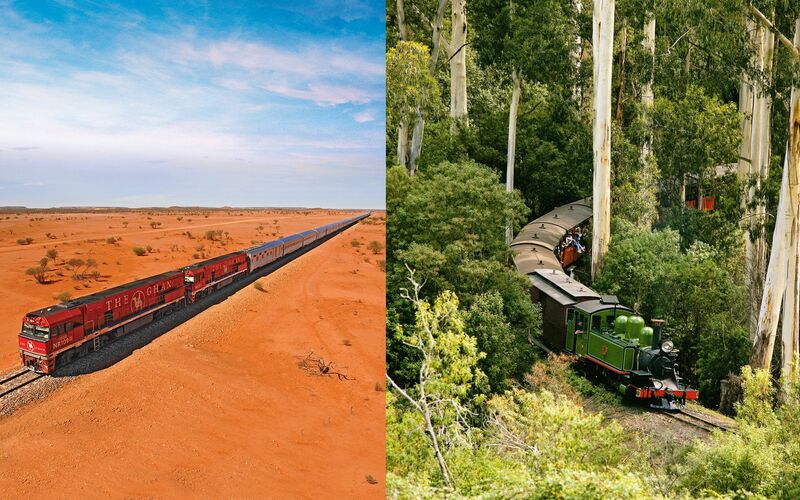 Australian by birth and global citizen by nature, the Malaysian-based nomad recently experienced the joys of locomotive transport through Australia and New Zealand that inspired his latest book ‘Railway Journeys in Australia & New Zealand’. David set out to discover a new façade of this vast landscape, shared tips and suggestions on how to make the most out of this romantic getaway. “It’s often more convenient to link up with trains. Some trains only operate a few days per week so you’ll need to be in certain places at certain times. Australia is a vast country so it required several journeys to different parts, and then a separate trip to New Zealand. From experience, the train from Townsville to Mount Isa takes 24 hours and does not have a sleeper car, which meant I had to travel all the way there, spend 3 hours in Mount Isa while the train refuelled and then catch the return train. Alternatively, I could spend a few days there and then get a train.